While Congress prepares to debate the future of the Affordable Care Act, we know that bipartisan action on health care reform is possible. A diverse group of state health leaders has endorsed a bipartisan agenda to improve population health. 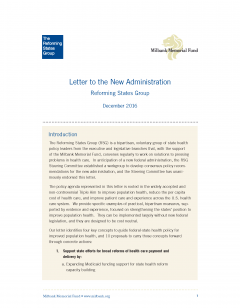 The authors are members of the Reforming States Group (RSG)—one of the nation’s only bipartisan group of health policy leaders from both the executive and legislative branches of state government. 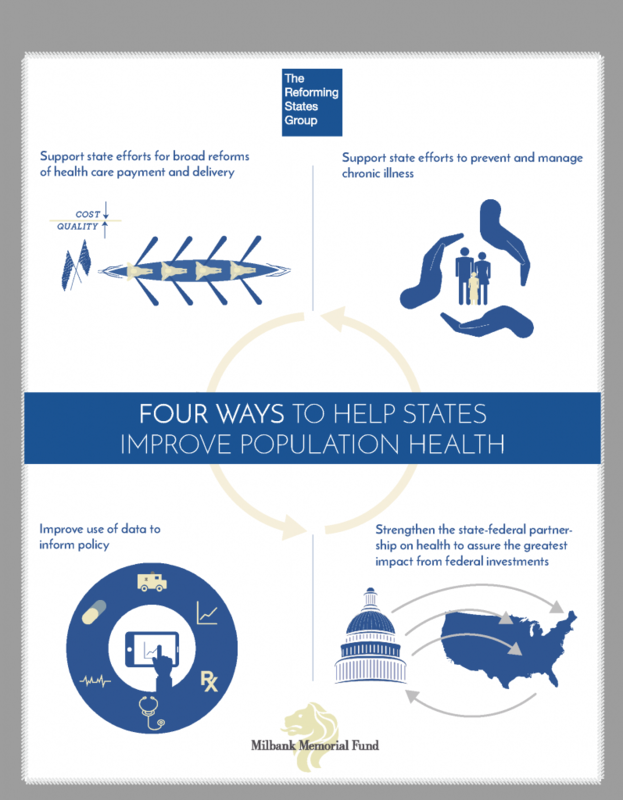 States have major responsibilities in many facets of health care policy and operations—and, as such, are uniquely well positioned to improve the health of populations. States officials, working across party lines and in partnership with new federal executive branch leaders, can do much to get this work done. The New England Journal of Medicine has just published a Perspective piece about the agenda by RSG leaders. Strengthen the state-federal partnership on health to assure greatest impact from federal investments. Read recent coverage of the Letter to the New Administration in the Portland Business Journal and in The News Tribune (Tacoma, Washington).